The COMPUSHIFT Sport and Pro are the next generation of transmission controllers. Smart Phone Integration - COMPUSHIFT Sport and Pro brings you the first ever smart phone integrated transmission controller. This makes programming dead easy – allowing programming via Android or iOS smart phones, tablets, PC's and Mac's. Connectivity includes both Bluetooth and dual independent CAN bus networks. All software is included. Fully Customize Your Transmission - Get full and precise control of the shifting strategy for your transmission. COMPUSHIFT Sport and Pro are delivered with versatile factory-set programming for a wide variety of transmission and engine combinations. However, you can completely customize settings to your exact specifications. COMPUSHIFT Pro manages 4, 5, 6 or more speed transmissions. 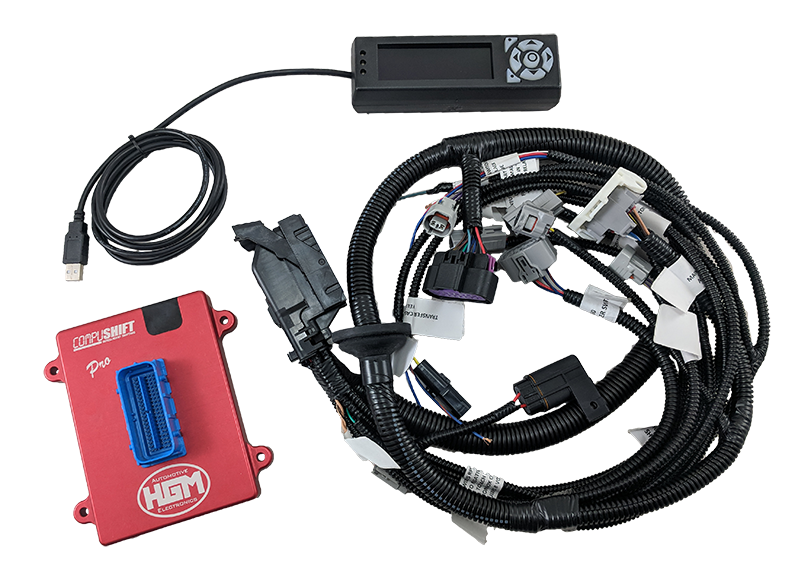 All COMPUSHIFT Sport and Pro transmission controllers are supplied as a complete plug and play assembly each of which has been proudly designed and built in the United States. 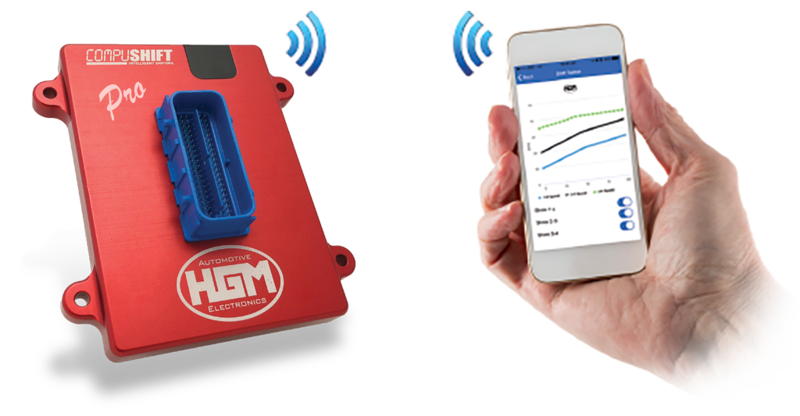 HGM COMPUSHIFT Sport and Pro - Check out what Specialists from Down Under say! The below table provides indicative pricing for a COMPUSHIFT kit to suit most transmission / engine combinations. To get exact pricing for your particular combination of transmission and engine setup please click below.